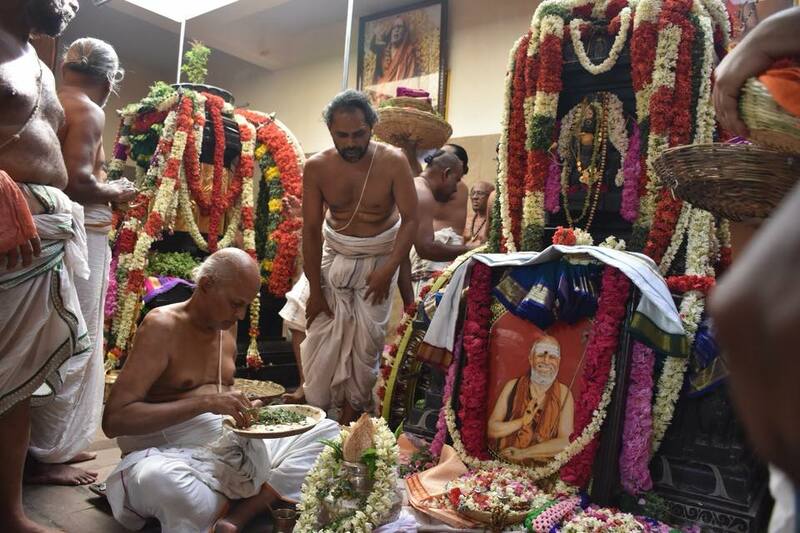 The Prathama Samvatsara (First Annual) Aradhana of HH Pujyashri Jayendra Saraswati Shankaracharya Swamigal was performed today (19 March. 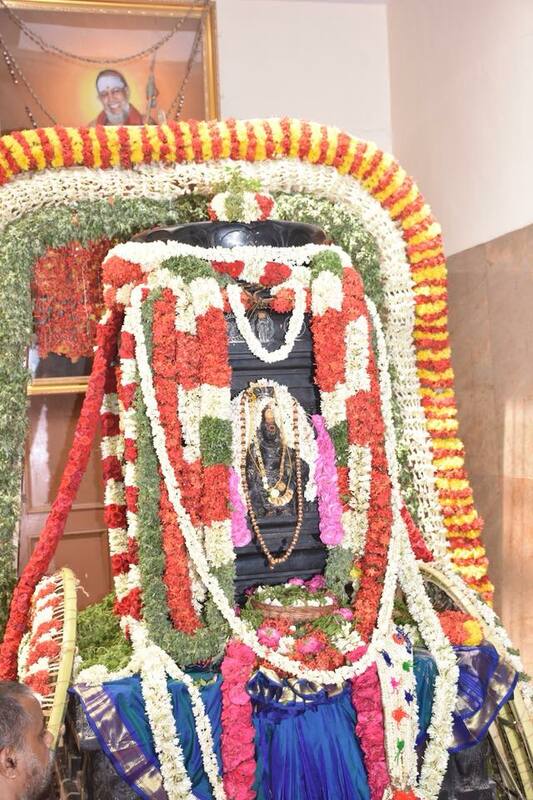 2019) at the holy precincts of His Brindavanam. 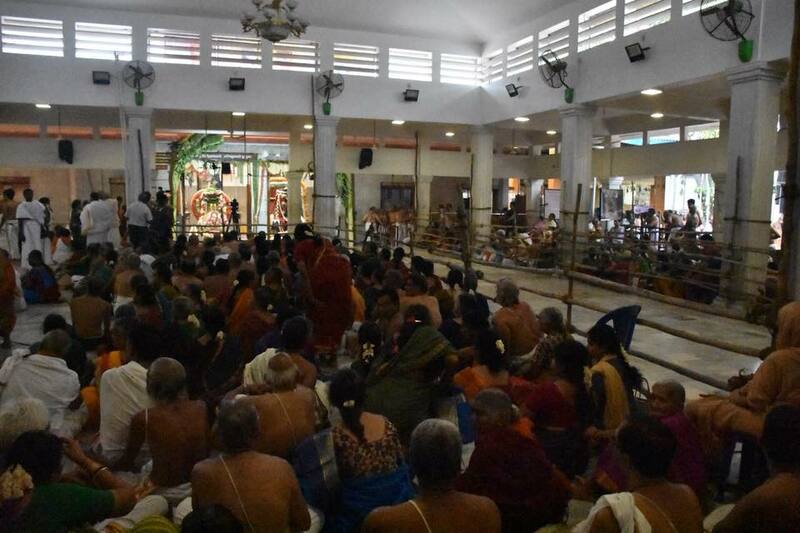 Veda Parayanam, Vidwat Sadas, Japan- homam, spiritual discourses were performed. 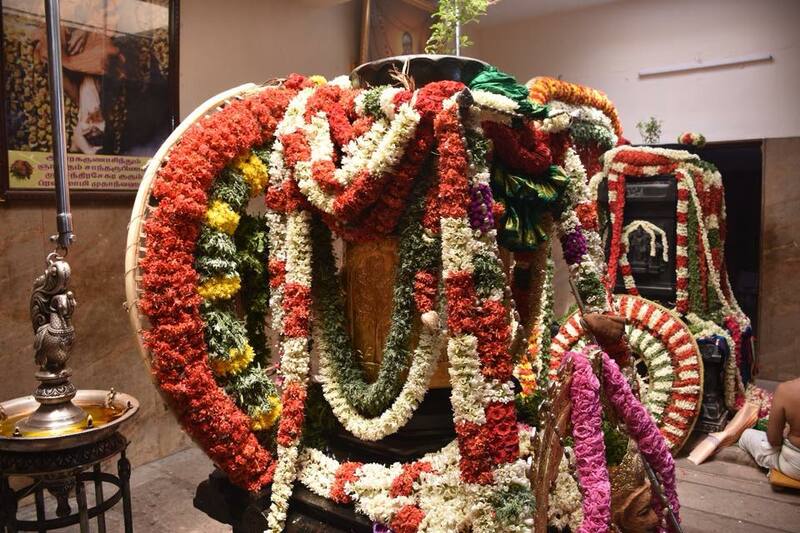 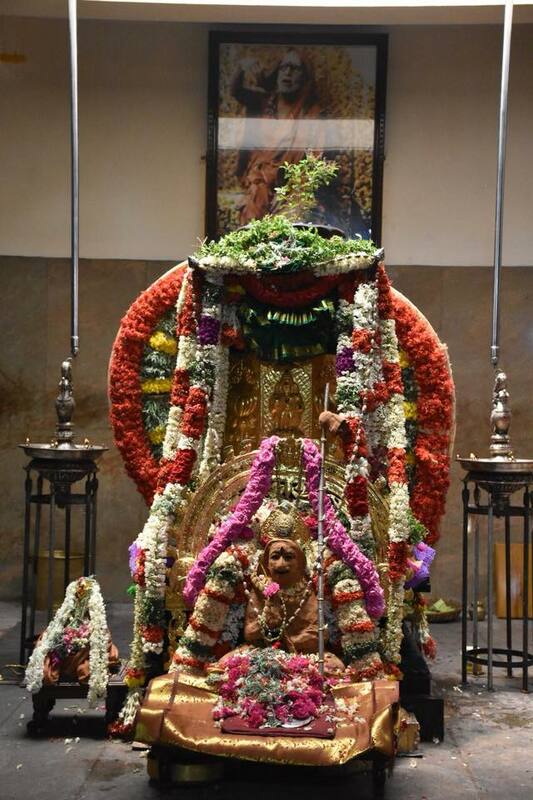 Teertha Narayana Puja was performed. 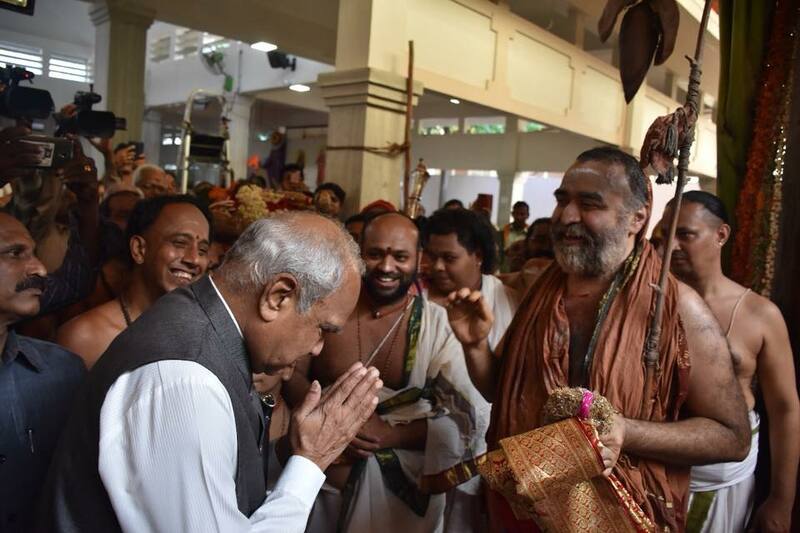 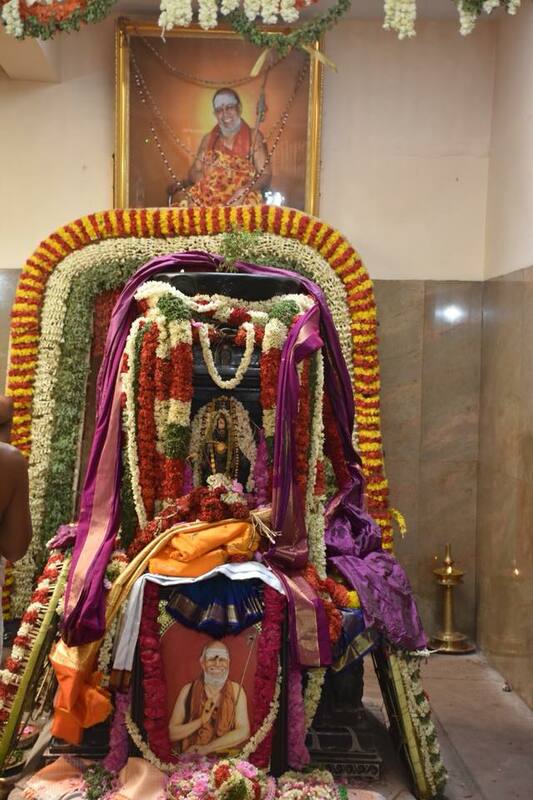 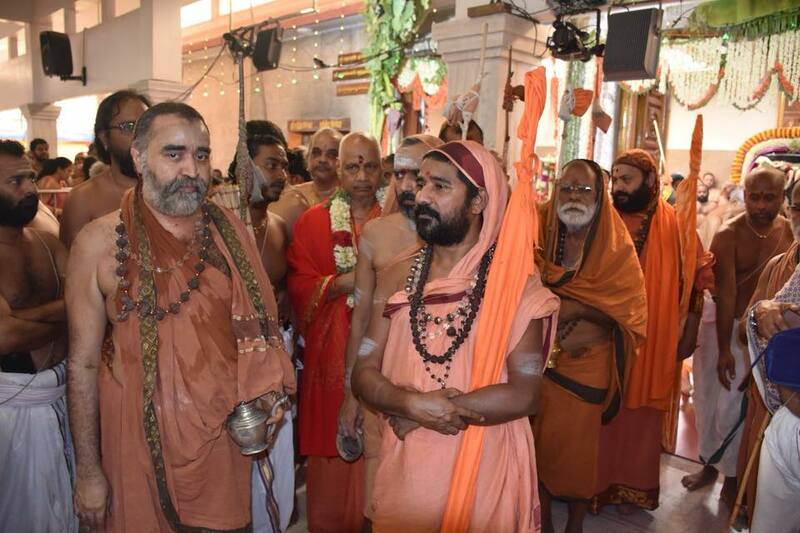 HH Pujyashri Shankara Vijayendra Saraswati Shankaracharya Swamigal offered the Silver Kavacham to the Adhistanam. 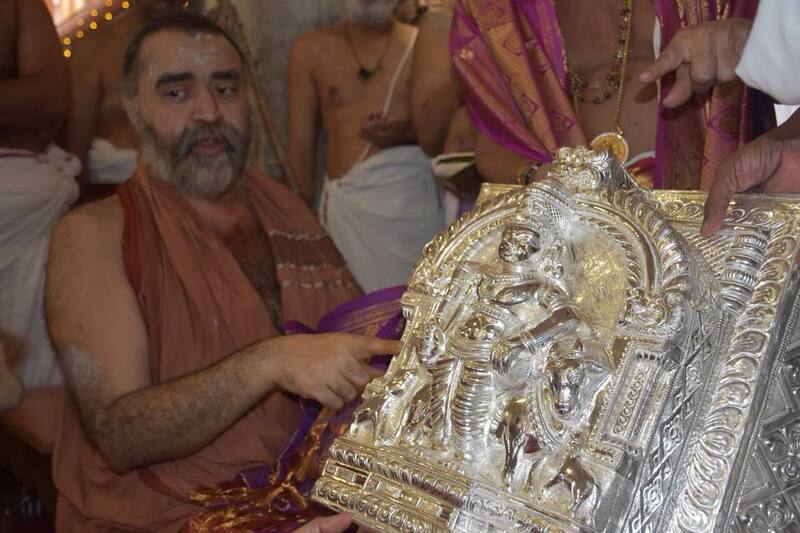 Prasadam from Sri Venkateswara Swamy Devasthanam, Tirupati and other temples were offered to the Adhistanam. 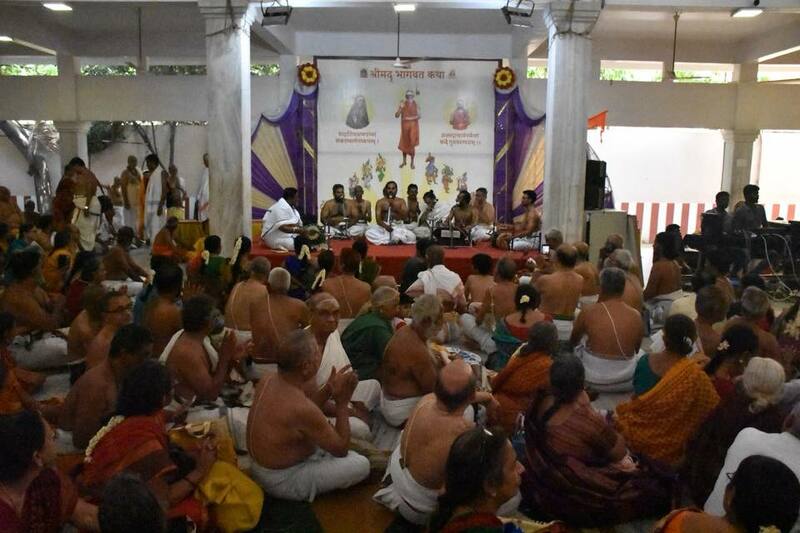 Sampradaya Bhajans were rendered.